New to CG since October. I am growing my bangs out. 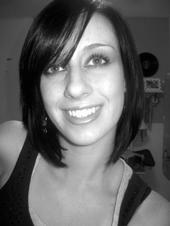 The question is, should I grow the length, too, or cut it (inverted bob, maybe?) 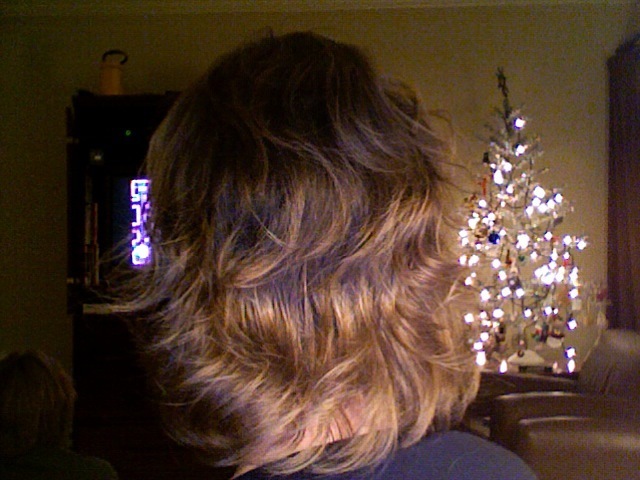 My hair is baby fine, and it becomes see-through at this length. I need some layers for the illusion of volume. I'm just not sure if I should go short in the back or not. I am 35 years old and also an architect (so looking stylish is important but so is being low-maintenance. With your hair being as fine as you describe I think it might be a good cut for you - to maximize volume. Plus I think its both Chic and Professional! I'm guessing it would look more like this photo of Kiera. Do you think so? My bangs aren't that long, though, but maybe they will blend in better if I bring the rest closer to it? 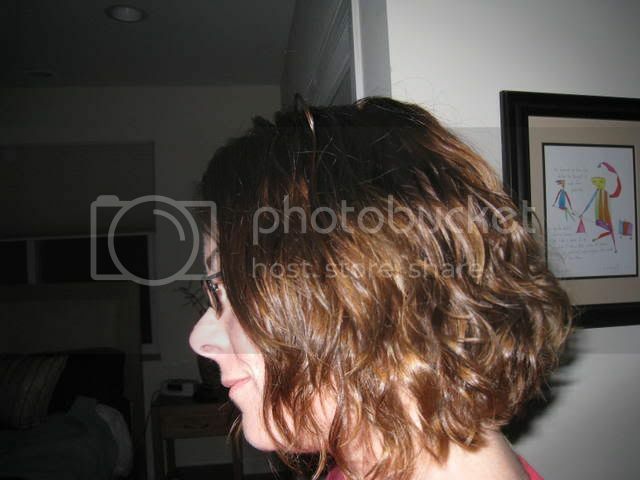 Do you have a photo of the back of your haircut when you hair was that short? Just curious... All those books in salons don't have us fine-haired girls represented! 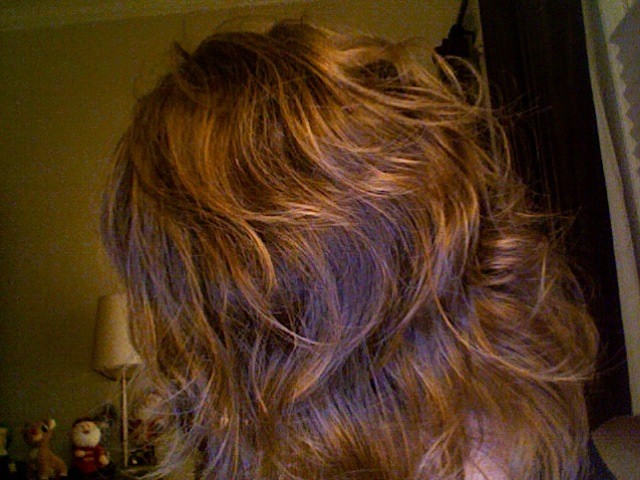 I got fed up with my wavy, shoulder length hair about a year and a half ago and had it cut like the 'do Keira Knightley had in Atonement - bad, bad, bad idea.com. A-ni-hi-lated my waves; ended up with mostly straight hair plus a weird bit on the right side that decided to stick out at the most unflattering angles and that even after using the iron on it reverted to it's unruly previous shape in a matter of about 30 minutes. Curling it in Scotland the modCG way since September 2008. Long suffering wavy - 2a/b. Totally bad idea for me to have short hair...I regretted it once I saw that the beautiful layers quickly turned into these flippy pieces that curled up at the ends and never fell into place. I didn't feel chic for longer than a day after cutting my hair short. However, I am a 2c, and my hair is very thick, so maybe yours would conform better. Experimenting with products right now. 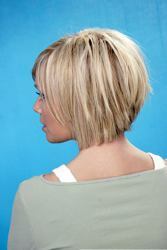 Shorter hair is easier to take care of and for fine hair, it is not as temperamental. 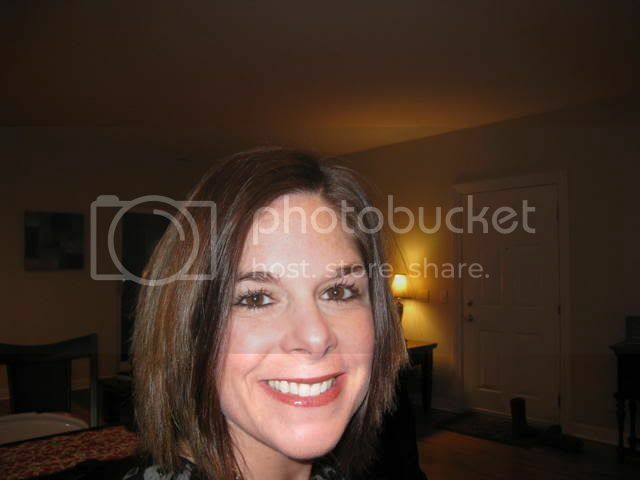 However, I wouldn't count on that picture with the blond straight hair. 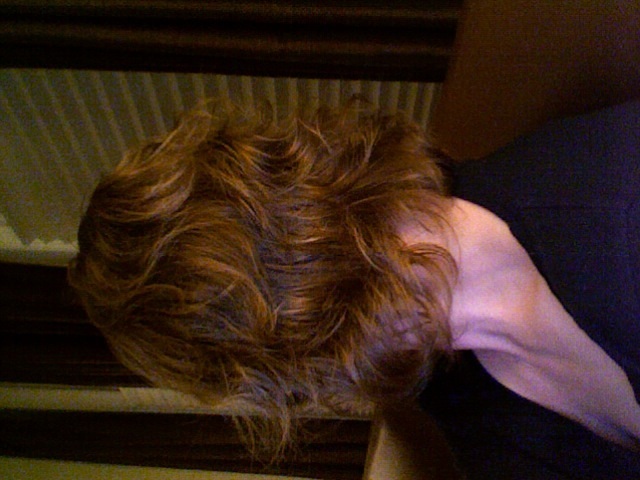 Wavy hair will look very different, it will get curlier, not straighter when short. After awhile with short hair, I got bored with it and really wanted to go back to longer hair hoping I can find some way to maintain volume when it gets there. Mine is shoulder length now and I'm waiting for the layers to grow out. it's pretty much the cut i have. ahhh maybe not. I guess mine is a lot longer:) I've been growing, it was super short last summer.